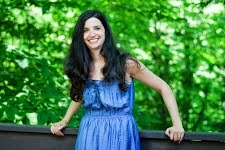 This week I a honored to be partnered with the lovely Tamara from Tamara Like Camera. She is a very talented blogger, writer and photographer. Tamara is also the mother of two adorable little kids. I have been following her blog for about a year now and have gotten to know her better. I now consider her one of my closest online friends. 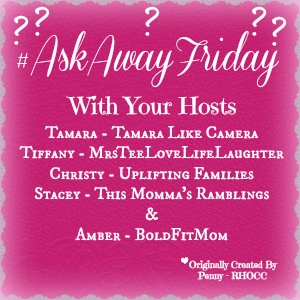 Please drop on over to tamaracamerablog.com to read her answers to my questions. Tamara is leaving for a family vacation to Florida this month, so we chose travel themed questions. No I am not really travelling with Tamara, but that might be fun! Below are my answers to her questions. 1. How many of the 50 states have you visited? (I think driving through counts but not flying over). If you haven't been to all 50, which is the state you most want to visit that you've never visited? Why? How many states have I visited? Or, driven through and stopped at gas stations or restaurants in? Those would be two different answers. Let's see...I am going to have to go through the list of the 50 states and they would have to be in alphabetical order too...you know the 50 States that Rhyme song. If you are not familiar with that song watch this video of Parrot singing it when he was three. Alabama - Yes I have been there and have visited that state too! My mom's cousin used to live in Alabama and we visited him when I was a kid. Alaska- I've never been to Alaska. But Chris has. Alaska was part of his territory when we lived out in Washington State. He had to travel up there in November. Chris said that Alaska is beautiful but he wouldn't recommend visiting that state in November. It was pretty cold. I would love to travel to Alaska, someday. Maybe I'd go up there in August. I've heard that the summers there are beautiful. Arizona - Yes my whole family traveled to Arizona last year. You can read all about our family vacation to Arizona here, here, here, here, here, and here . If you need to escape the cold, I highly recommend packing up your family and driving to Arizona. We had a great time. Arkansas - Never been there and I don't have any plans in the near future to visit that state. California - I have visited that state and lived there for 2 and a half very long years. It's a beautiful state to visit, but the culture out there and their liberal government is not for me. My in-laws live in Sacramento so we visit them once a year. Colorado - Does the Denver airport count? If not, then no. I haven't visited Colorado. I've been to the Denver airport and I think we drove through Colorado when we visited California. Connecticut - No. I haven't been to very many states on the east coast and am unsure if I want to visit any of them. Maybe, for the early American colonial history, I would. Delaware - Same as Connecticut. No. Florida - Yes, many, many times. When I was growing up out in Wisconsin, we drove down to Florida every spring break. It is my favorite state to visit. I am super excited about taking all five of my kids down there for the first time over spring break in March. Georgia - Only if you count the many, many times we drove through that state on our way to Florida when I was a kid. But we only stopped for gasoline, potty breaks and food. Hawaii - I have never been to Hawaii. I would love to visit Hawaii, but I am terrified of flying over the ocean, so I would need xanax or something similar to knock me out on the flight. Idaho - Idaho. Yes I am very familiar with the beautiful northwestern state that fills our bellies with potatoes. We lived in Spokane, Washington for four years which is just a hop, skip and jump from Idaho. We went there several times. In fact we have some good friends that live in Coeur d'Alene Idaho which is in the northern part of the state. Illinois - We live in Illinois. Need I say more? Indiana - Yes. My brother went to a small seminary in Indiana. Saint Meinrad Seminary and School of Theology in Saint Meinrad Indiana which is southern Indiana. Indiana is a very beautiful state. Iowa - I think we've driven through there a few times. I can't say I've actually visited Iowa. Kansas - Same as Iowa. Kentucky - Same as Kansas and Iowa. Louisiana - I have never been to Louisiana. I would love to visit new Orleans someday. Mardi gras anyone? Or as we Catholics call it, Fat Tuesday. I'd be there to celebrate Mardi gras in New Orleans in a heart beat. Maine - Isn't that part of Canada? Eh? No I've never been up to Maine. But I've heard it's beautiful. Maryland - That's another one of those east coast states, right? No I've never been there either. But I'd love to tour Washington D.C. That's part of Maryland, right? Massachusetts - Another east coast state that I have never visited. Michigan - Yes I have been to Michigan several times. My mother grew up in a small town in the upper peninsula of Michigan (the U.P.). When I was a kid we would visit my grandmother up there every summer. I think I've been to the lower part of Michigan a couple of times too. But if you visit Michigan I recommend that you go to the U.P. in the summer. It is beautiful up there. Minnesota - I've driven through there and have visited the Mall of America. If you travel to Minnesota in the winter go to the Mall of America. Winters in Minnesota are frigid. If you travel to Minnesota in the summer go to the Mall of America, unless you don't mind getting eaten alive by mosquitoes. Mississippi - M-I-S-S-I-S-S-I-P-P-I. I had to make sure I have the spelling correct. No I have never traveled to Mississippi. I've been to the Mississippi River, though. But that was in Wisconsin so I guess it doesn't count. Missouri - I've been up in the Arch in St. Louis. What a view! Yes I have been to Missouri. Montana - We've driven through there several times. Nebraska - We've driven through Nebraska. Number 28's Nevada - Yes! Good Old, Nevada. Chris and I travel to Las Vegas every summer. I'm only on 28? I better make this go a little faster. North Dakota - Driven through there. Ohio -Yes. My brother used to live in Cincinnati. Oregon - Yes, ( we lived in neighboring Washington). Tennessee - Yes. I love Nashville and country music. I can't wait to go back for the country music festival this summer. Utah - Yes. The big Mormon cathedral is beautiful (from the outside we didn't go in) in Salt Lake City. They also have a cool mall there too. Washington - Yes. We lived there for four years. Could Wisconsin be the last one? I lived there for the first 29 years of my life. I still call Wisconsin my home and home state. We live just a short hour drive from the state line. My parents, 2 brothers, cousins, aunts, uncles, and extended family live up in Wisconsin. Wyoming is the last state in the 50 states that rhyme. I've driven through Wyoming. I'll try to make my other answers a little shorter. 2. How many other countries have you visited? What three countries would you most like to visit? Why? Hmm, I don't think I know a song... wait I do.. But I don't think I am going to go through every single country like I did the states. I'd be up writing all night long and I might forget to feed the kids. Here's my short answer. I traveled to Mexico when I was a kid. I think I was four. And I saw Canada from the other side of Niagara Falls when I was in high school. If you guessed "band trip," you are correct. Three countries that I would most likely visit? I am half Italian so I would love to travel to Italy. My sister got married in Florence, but I couldn't afford the trip so I didn't attend. My parents have been to Italy a few times. But again I would need xanax. I'd also love to go to the Caribbean, maybe Jamaica. A third? I have no idea. Somewhere warm. Can I say that? Or maybe Australia. I've heard Australia is beautiful. I think my parents have been there. That is a tough one, Tamara. I loved seeing the mountains from my bedroom window out in Spokane. But I love the beach. I wouldn't want to live on the beach, though because I'd be too terrified of hurricanes. And winters up in the mountains are awful. Can I say neither?? The mountains and the beach are both great places to visit but I wouldn't want to live in either place. 4. What's your dream trip to take with the whole family? Disney. The kids love Disney. What kid doesn't? We've been to Disney Land, but that was before Little Bear was born. In fact I was pregnant with him. We went to Disney World once too, but that was when we just had the girls. I think I was pregnant with Parrot on that trip. I would love to go to a Disney park without being pregnant. 5. What about just with your husband? Chris loves to walk around and look at things. So we go to Vegas together every summer. We end up walking along the strip about four or five miles a day. He loves it. I just enjoy his company. I'd rather go for a run than go on long walks. But it is nice to see the shows at the casinos. My dream vacation with my husband would be to a warm beach somewhere either the Caribbean or Mexico. He doesn't like to relax on the beach as much as I do. I also love swimming pool bars. 6. What's a really memorable vacation you've had, and what made it so? My most memorable vacation would be our trip to Arizona last year. We did a lot on that vacation. We visited some historical sites in Phoenix, walked in a desert garden, saw some amazing sand dunes, swam in the pool, and visited the Grand Canyon. I think my kids are going to remember that vacation for a long time. 7. Where did you spend your last vacation? What did you do? 8. When you were a child, did your family take trips? Would you always go to the same place or different places? Yes. We visited my grandmother up in Michigan every summer. We went to Florida every spring break. And when I was really young we packed the whole family including my grandmother into our full sized van and drove from Wisconsin to California. We even stopped in Mexico. We usually visited the same places except for our trip west. 9. Describe the worst trip you ever took. Where did you go? What made it a bad trip? I think the worst trip was one of our vacations to Florida when I was about fourteen. I was sick with tonsillitis the whole time and wasn't able to enjoy myself. A couple of months later I got my tonsils out. 10. Would you like to take a cruise? Why or why not? No. I think I've seen Titanic too many times. Would you like to be my buddy for a future Ask Away Friday? E mail me at talbertcascia@yahoo.com and we can arrange it!